Michelin has launched a new website which takes the mystery out of tyre choice. To publicise the new Michelin Power One motorcycle tyre, the firm has developed a tyre chooser, which allows owners to enter their bike model, performance requirements (mainly road, amateur track day pace, fast group, race, etc) and even the expected road/track temperature. 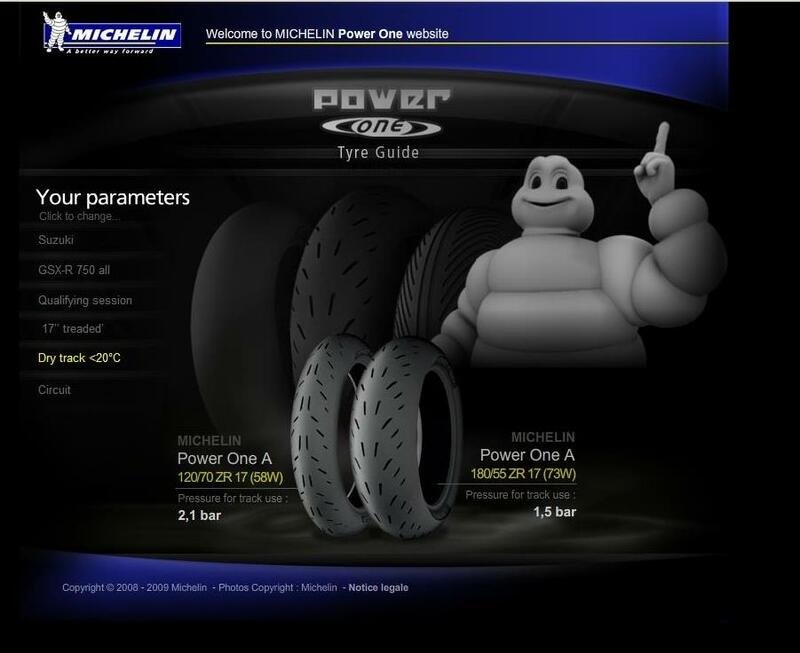 From this information the website recommends a tyre from the Power One range. It seems that the normal dual-compound road tyres are all the novice group rider will ever need, but the options vary from the road-biased tyre, to triple-compound treaded race rubber to 16.5-inch slicks. MCN’s first test of the new Michelin Power One road and race tyres is in the March 18 issue, out next Wednesday.